This look is inspired by Arielle Vey’s Instagram feed. Her grid pushes cool and warm tones while deepening the contrast to create an effortless beachy look. 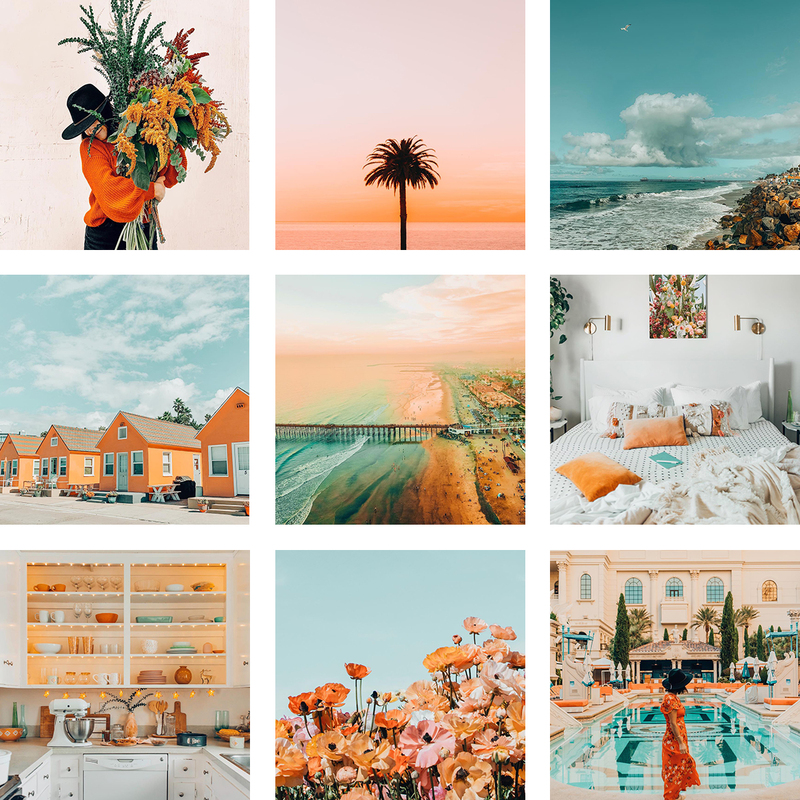 She also created a set of Lightroom presets and Photoshop actions with us called California which you can find on our website. Her most used preset from California is 72 & Sunny.